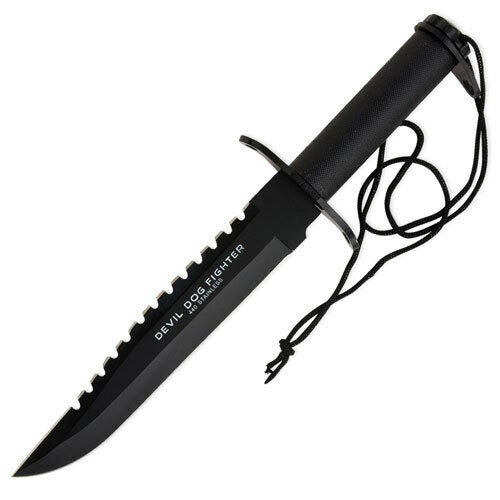 Devil Dog Warrior Knife | BUDK.com - Knives & Swords At The Lowest Prices! This 15 1/2" survival knife is all you need, ever. The black hollow handle houses a vault of survival tools which includes a compass, matches and more. The stainless steel blade will never fail you. Includes faux leather sheath. 15" overall.